The stylish new D’elight is designed to make every trip easier and quicker – and a whole lot more affordable. 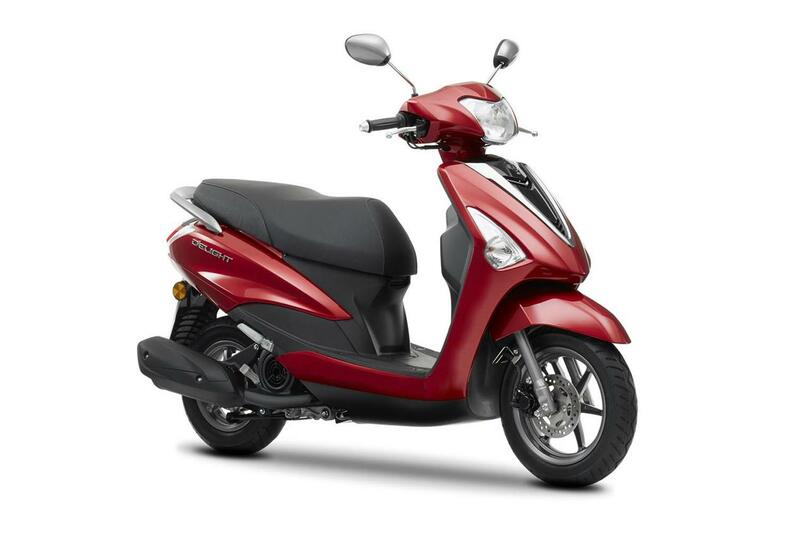 The key features that make this economical urban runabout so enjoyable to ride are its compact body and ultra light construction – and for added performance with low fuel consumption the D’elight is driven by our efficient new increased capacity Blue Core 125cc air cooled engine. The low seat and spacious interior give a relaxed riding position – and there’s plenty of space to store a full-face helmet or carry a business or weekend bag. And with its understated urban styling and subtle European influenced design, the D’elight combines premium quality with class-leading value. Every time you twist the throttle you'll be feeling the real advantages of the D'elight's Blue Core engine technology. With a range of special features that reduce power losses and increase efficiency, the air-cooled 125cc engine gives lively performance together with excellent fuel consumption - for every day city commuting. Featuring a sleek and compact body, the D'elight is designed to appeal to everyone who appreciates understated style. A black V-shaped 'grill' and integral flashers give a sophisticated appearance, and the high quality bodywork and attractive lines underline this affordable scooter's premium feel. The D'elight combines an extremely affordable purchase price with a full specification, including a 180mm disc front brake and rear drum brake that provide plenty of stopping power. And the Unified Braking System (UBS) automatically balances braking inputs to ensure smoother braking. The D'elight is big on practicality and functionality, and the large 36-litre storage space under the comfortable dual seat is designed to accommodate one full-face helmet or a business or shopping bag. And for added convenience there's a clamp-type hook mounted on the legshields in front of the rider that's ideal for carrying small shopping bags. When you're riding through busy city streets you'll appreciate the D'elight's easy agility and responsive handling that make every trip much more enjoyable. Weighing just 99kg, this compact urban commuter is so easy to manoeuvre - and its slim body and low weight mean that finding a place to park is easier than ever. To make sure that you enjoy a smooth ride together with light handling and sure-footed roadholding we've equipped the D'elight with a 12-inch front wheel and a 10-inch rear wheel. These lightweight 6-spoke die-cast aluminium wheels are fitted with specially designed tyres that give good traction with high fuel economy. Thomas Lee Motorcycles is a family owned and operated motorcycle and power sports dealership servicing north west NSW and south east QLD, since 1981. We pride ourselves on giving all our customers the very best pricing backed up by superb and friendly customer service. 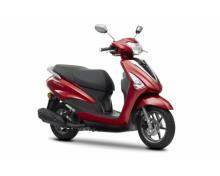 Not only do we sell and service reliable Yamaha brands but also Honda, Suzuki & Harley-Davidson road and off road bikes.